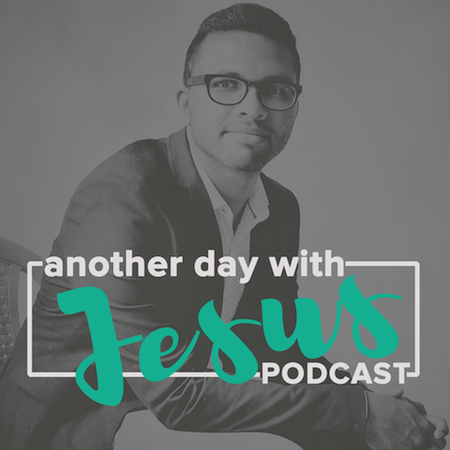 In this conversation that Pastor Priji had, Pastor Ben shares secrets of how his church of 7 members became 1200 in just 3 years time. Pastor Priji: How do you define church? What do you say is a church? What is the biblical and right definition of church? What has it become today? In light of what it has become today, what was it supposed to be? Thumb: The church begins with a vision. Any church does not begin with a competition or because pastors had nothing better to do so they started a church…no. It is not an employment avenue. Church starts with a vision and the vision is found in John 3:16 which says ‘none should perish’. That’s why the church is there, that the lost will be found, hope will be given, healing will be distributed by the power of the Spirit. Index: The 2 tracks that church runs on, any train runs on 2 lines, 2 rails, it is the Word of God, it is the Holy Spirit. Sometimes people want more of one or the other. People have too much of the word of God, then they dry up. Too much of the Holy Spirit, they blow up. The whole setting is to keep it in the balance. Middle: There are 3 officers within a church. First is an Overseer. You could call it a Pastor. Or someone giving the word or taking care of the flock. Second is an Elder. Everybody needs a helper, an elder. An elder is a person who genuinely loves and is passionate about counselling people, visiting people, praying with, praying for people. Third is a logistical person. When I first started, I started in the villages. Who is a logistics person in the villages? A person who puts down the mat, who prepares the setting, the guy who says ‘Hey let’s start! Let’s start!’. For us, in organised sector they call it General Secretary. Ring: What would you call, maturity in the church? How do you evaluate maturity? Pinky: What are the 5 important activities of a church? If these aren’t present, you could be meeting in a Cathedral and you’d still not be a church. Pastor Priji: What are some of the keys by which we can make disciples on a practical basis not just in the church but even outside the church? Who can do discipleship? Somebody who’s a disciple. Who is a disciple? Somebody who’s already investing in somebody else. You cannot be a disciple, without actually having a great desire to give out what you have. 2 Timothy 2:2 – What you got, give it to faithful men. We used to say – God is looking for FAT people as disciples. When somebody is that, he will also look for somebody else to give out to. Discipleship is life on life. When you’re doing life with somebody, discipleship is happening. Brothers and sisters, God has chosen YOU, to pour out something that you know but somebody else does not know! Start telling somebody, something you know about Jesus, rise up, your life will change, your mindset will change, your inner atmosphere, spiritual environment within you and around you will change. Point No. 1: How you were before Christ. Point No. 2: How you found Christ. Point No. 3: How you’re living with Him today. Practice sharing these, a minute for each point. Share these with people, it will change your life as well as change lives of others. When you’re out there sharing, understand that people don’t care how much you know but care about how much you care. Share your experiential walk with God, how God speaks to you, how He walks with you, how you listen to Him. These kind of things intrigue people because they don’t know what to do since they’ve never experienced a living God, who walks with them. That’s the benefit we have as children of God that we call him Emmanuel, God who is with us. Instead of bringing people to the church, the church has to go out to where they are and minister to them. That’s what discipleship is about – when we go out and it doesn’t matter where we are meeting Monday to Saturday or how we are meeting, even if it doesn’t look like church, but that is real church. That is where people are being discipled and trained. Pastor Priji: Pastor Ben would you suggest any books or resources to especially our pastors and leaders who could probably read and grow in this particular area. Anything that you have written or anybody else has written that could inspire in this area? Pastor Ben: We use a particular material and if people are interested, I can pass that on to you online. People who are personally asking you this, can get it. Try reading different books. I’ve seen couple of amazing resources out there which gives more depth into teaching your people. Best is to meet with the leaders, sit down with them and coach them. As pastors, coaching is very vital. Preaching is only 15% of ministry, coaching is almost 70%. If you see a good successful pastor, you see that he’s a good coach. If you’re blessed by this podcast, make sure to share it with other leaders and other church people who can be blessed by this podcast.